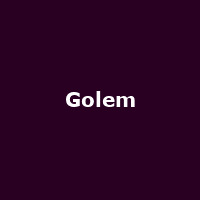 "Direct from a sensational season at the Young Vic, Golem, created by 1927 transfers to the West End for a strictly limited run this April and May. Golem is brought to you by the creative minds behind the smash -hit The Animals and Children took to the Streets. With stunningly original animation, entrancing music and live performance, Golem explores one of the great questions of the modern world - do we control technology, or does it control us?"